This fantastic Onda Giallo Mask showing off bright colours and detailed flowers to make it stand out from the crowd. 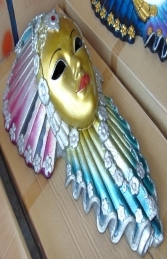 This mask would be an ideal addition with our other Venetian Mask collection to complete your Masquerade Ball, Carnival of Venice or Italian themed areas, advertising or drawing attention to your business. 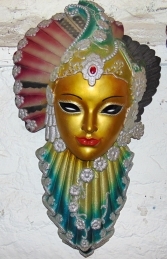 This mask can be easily installed onto your themed wall area. 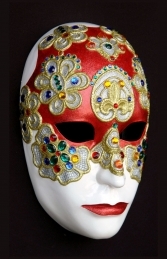 It can be used in any themed area or in shops, businesses, pubs, restaurants, coffee shops, adventure golf courses, zoos, theme-parks... or even in your own home.